Surface Concepts provides high quality, bespoke solid surfaces. From reception desks to bar tops, table tops, wash hand basins, work tops, vanity tops and much more, we can fabricate whatever it is that you require! We specialise in working with Corian, Hi-Macs and Staron materials, however other materials are available on request. Solid surfaces are a very high standard of material that can withstand the harsh every day use within a bar, restaurant or other business and even if any damage were to occur, they are easily repairable and we are always available to give your surface a repolish if required. Each brand of material have over 80 colours in their range so we are sure that you will be able to create the perfect look for your home or business. We are based in central Scotland and can cover all of Scotland and the islands and the North of England. Give us a call and one of our friendly team members will be happy to have a chat with you about your requirements. 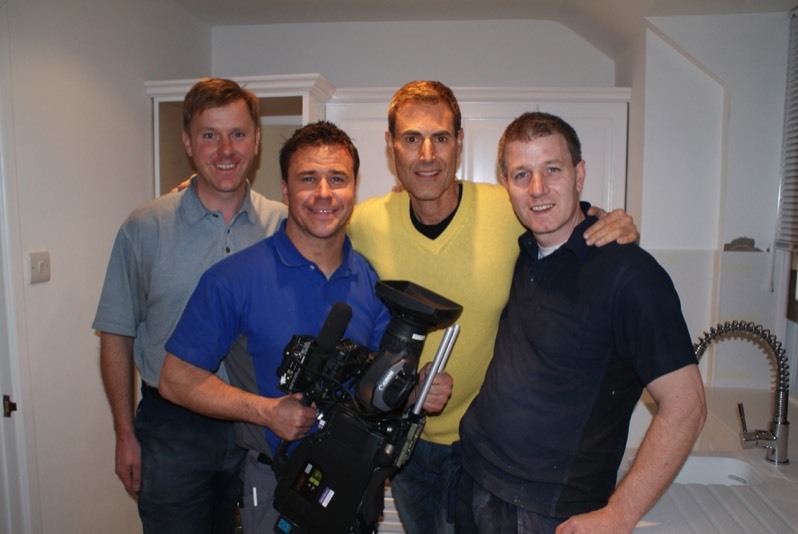 In 2010, we made an appearance on Celebrity DIY with Craig Phillips where we installed Solid Surfaces for Uri Geller, world renowned illusionist. We are fully qualified to fabricate and install solid surfaces. All our staff have CSCS cards and continually participate in health and safety courses. We also retain an independent health and safety consultant for all our requirements.